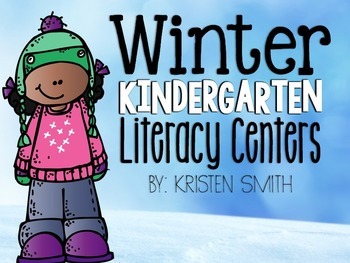 This winter themed packet is sure to be a hit with your kindergarteners. It includes games that kindergarteners can complete independently and are fun and engaging. My students LOVE these centers! 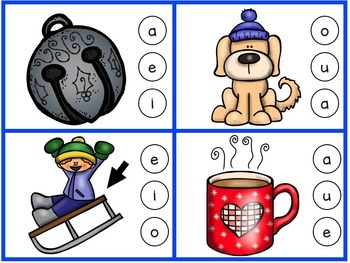 * writing a Sequence of Events- Students will put pictures in order and then write how to make a snowman, have a snowball fight or how to catch a snowflake. *captions- students will look at a variety of winter pictures and write a caption about them. The pictures are very detailed and students will love looking at them and coming up with great sentences to describe them. 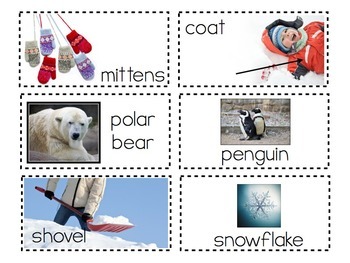 *reading with fluency and accuracy with mixed up poems- students will work together to put a winter poem together. *critical thinking skills- in the center "riddle me this" students will read a variety of riddles and work together to figure out what winter word the riddle is talking about. This packet includes centers for ALL levels of learners in your kindergarten class. I introduce these games in guided reading and then let my students play them the next week during center rotations. 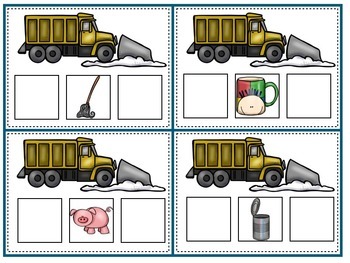 There are over 20 winter themed activities included in this pack that will help your kindergarten students stay focused during center time while practicing essential skills. Most of the centers include a recording or activity sheet that you can use as an assessment or for your fast finishers to complete. I also included a few extra recording pages for you to use. I am sure that you and your students will enjoy these easy to put together centers. Please take a look at the preview to see just SOME of what is included in this pack!